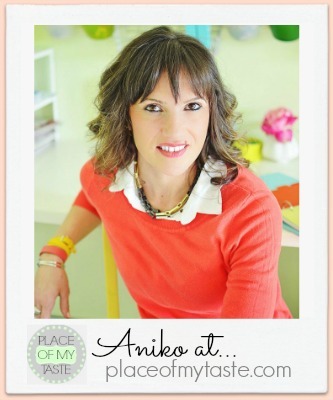 Hello The 36th Avenue Readers, it’s Aniko from Place Of My Taste. 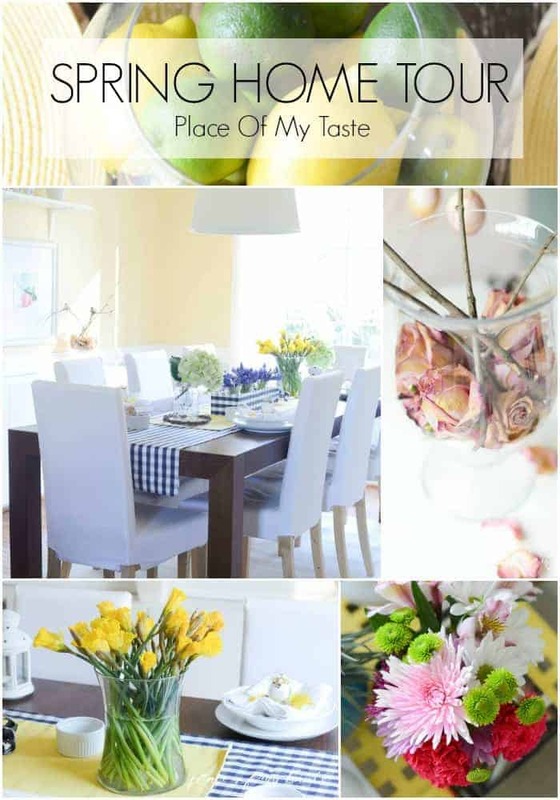 Happy Spring to Everyone! 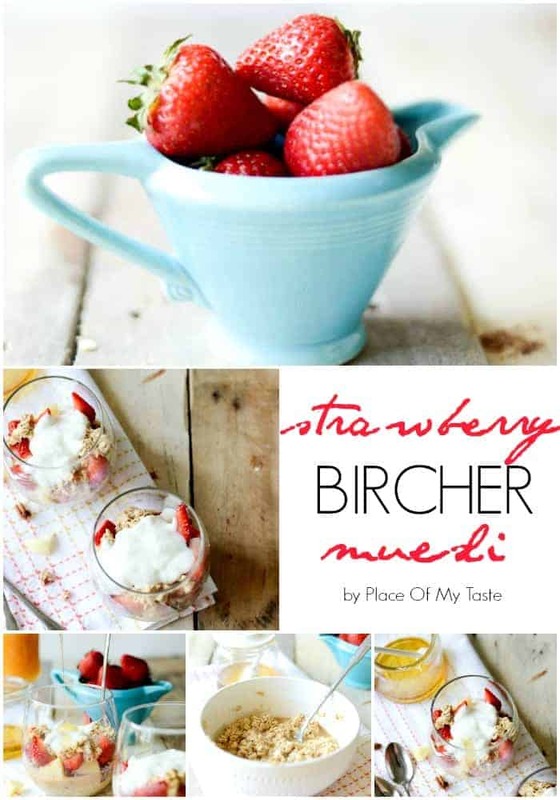 Today I am going to share my new favorite breakfast with you all, Strawberry Bircher. I don’t know about you, but for me breakfast is a must. I can not function without it. Does not matter what time I wake up, breakfast can not be skipped. I am so happy that I can feel the warm air on my skin finally. Loving the sunshine, the open windows during the night, loving to wake up listening for the birds that sing outside…Hmm! I also love to start my day with a healthy breakfast. 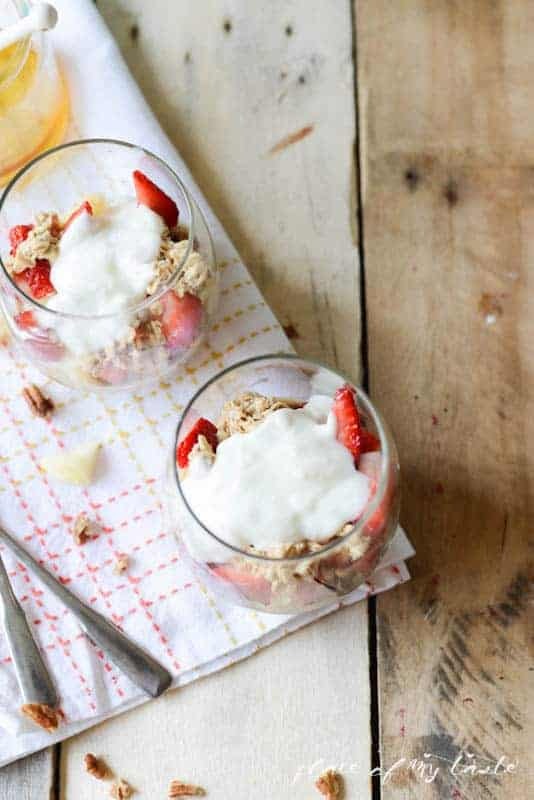 Strawberry season will kick in pretty soon so this easy breakfast will be heavenly with fresh strawberries. 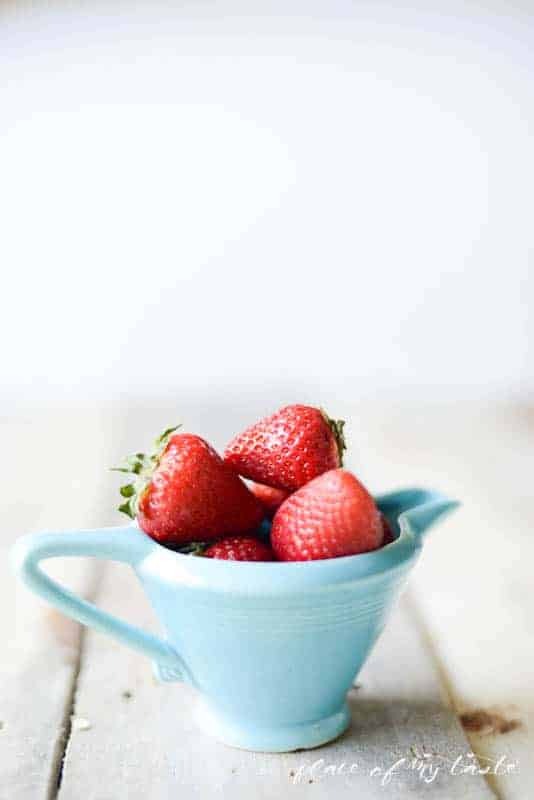 We love to go to a close by farm to pick our own strawberries with the boys. So much fun! This delicious breakfast muesli can be made with blueberries, blackberries or basically with any fresh fruits. I usually don’t let the oats sitting in the juice for more than 30 minutes. They are perfect and moist after so little time. But if you prefer, you can let it sit in the refrigerator for the whole night. 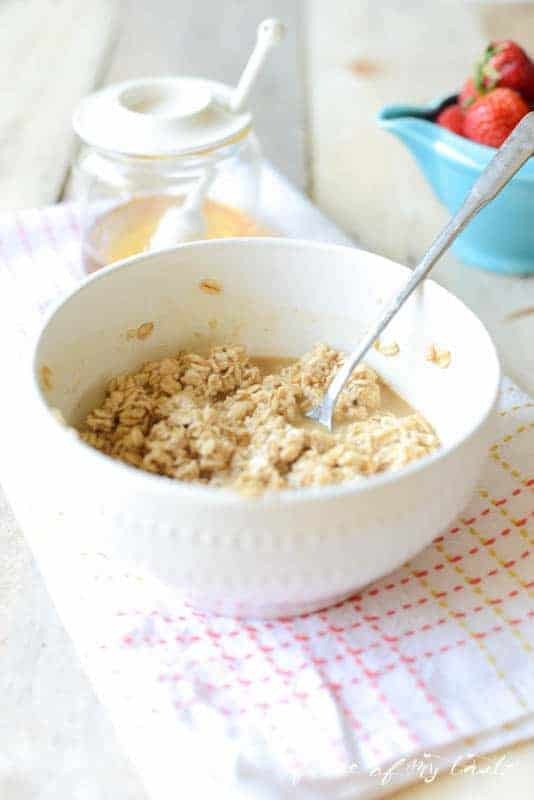 Put the oats and apple/orange juice in a bowl, then cover with plastic wrap and let it soak in the refrigerator for ½ hour. 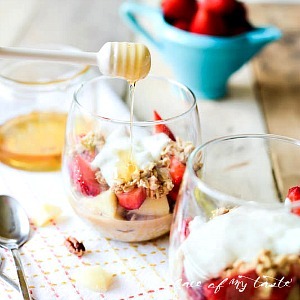 Spoon oat mixture into serving bowls and layer the apples,strawberries, yogurt and walnut on the top. 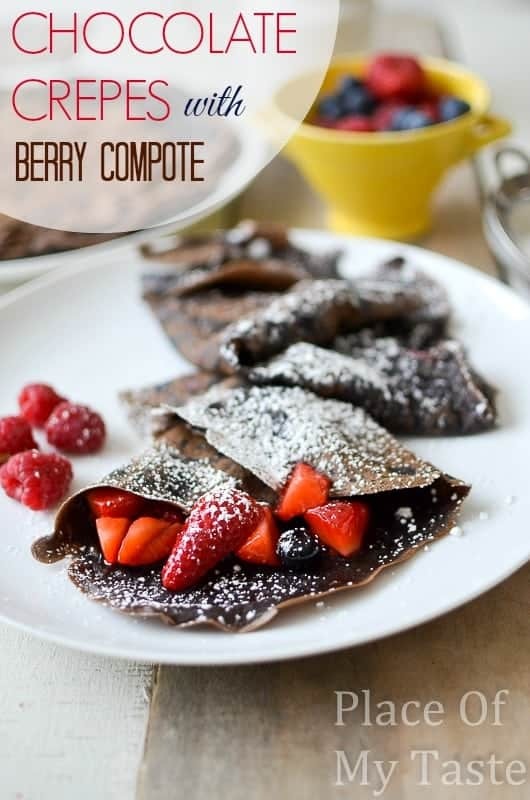 Drizzle with cinnamon and honey.Top it with strawberries and yogurt.Enjoy! 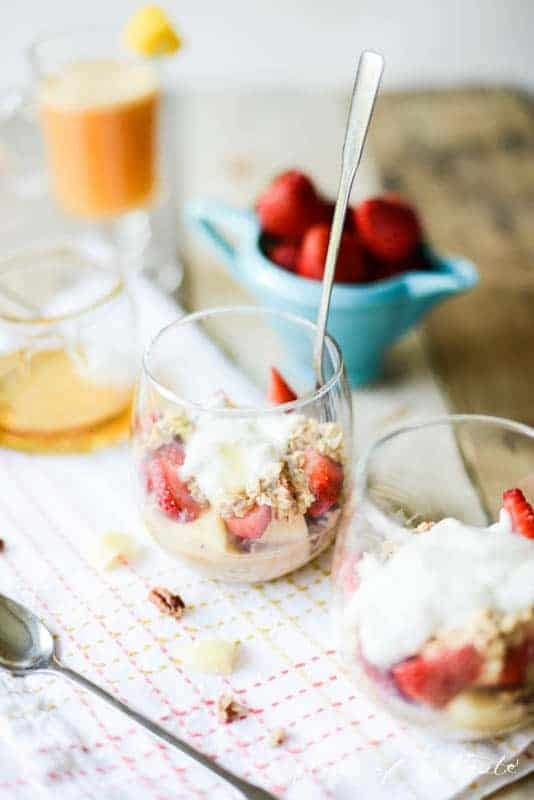 You can make a big bowl of these soaked oats and serve it for any gatherings or breakfast brunch with your choice of fresh fruits. Can not wait to feel this amazing and healthy breakfast in my mouth again. So good! I hope you will love this recipe as much as we do! As always, I am so honored to be here and share something delicious with Desire’s amazing readers! Have a happy Spring and Easter to All! I just bought some strawberries today. 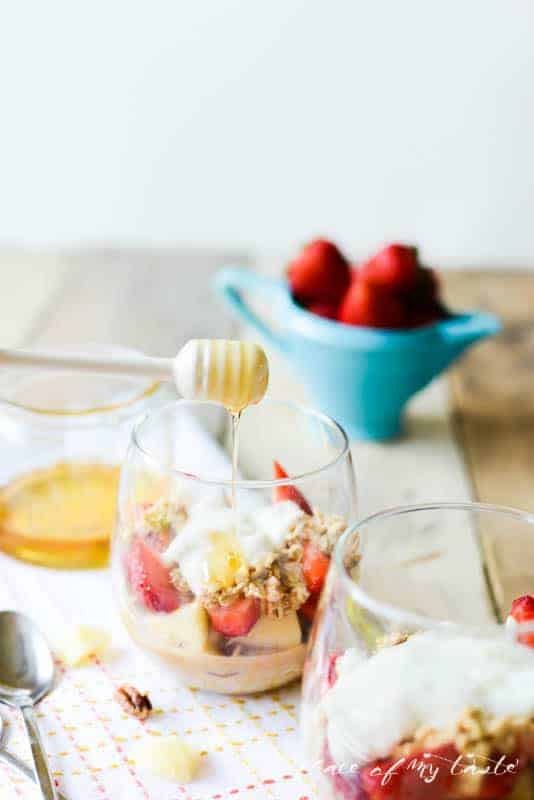 We’ll be trying this in the morning….sounds yummy! Looks so delicious! Thank you!